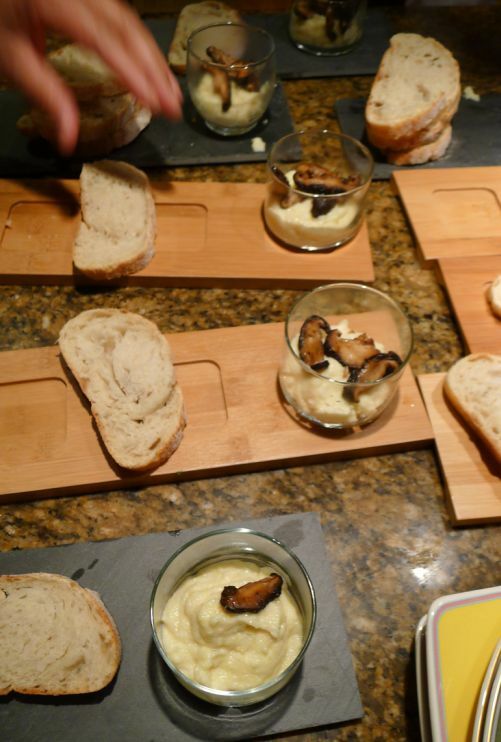 The polenta is creamy, rich and incredible delicious! 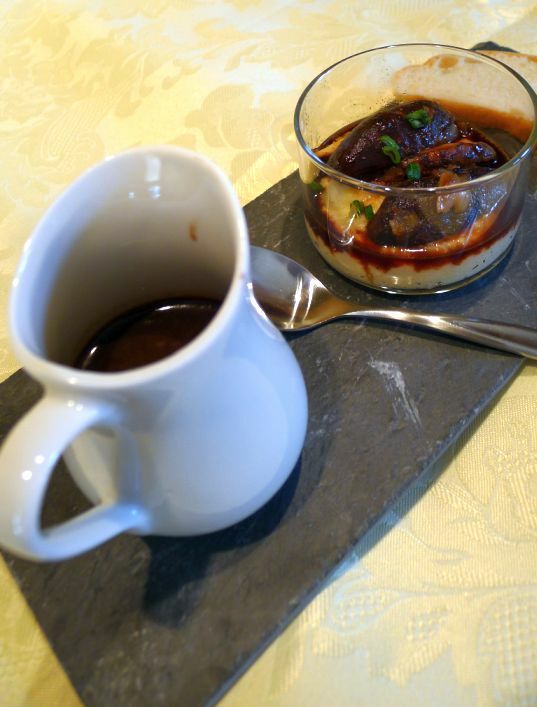 It has almost the texture of a warm savory textured crème brûlée with a layer of caramelized shitake mushrooms that had a rich, buttery and meaty flavor (yes even though it is a vegetable), then it is topped with an extraordinaire balsamic sauce that is simply irresistible. 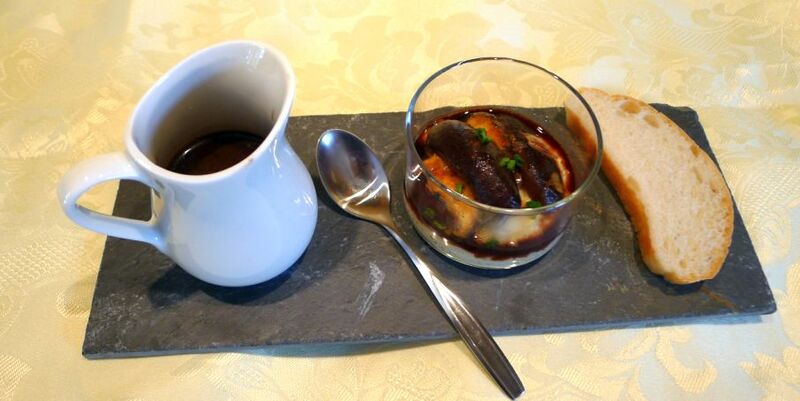 The star of this dish is definitely the balsamic sauce that is why it is served with extra sauce. 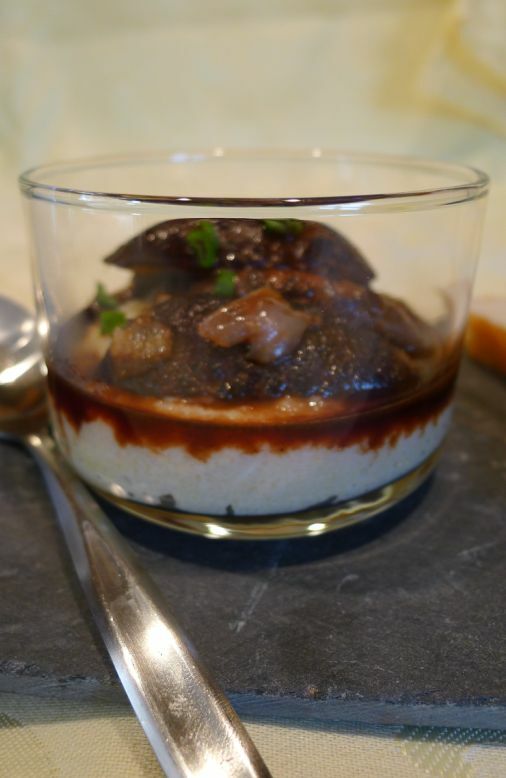 While eating this dish you will not be able the help yourself with pouring over and over the sauce on top of the polenta and then finding that you want to drown the polenta in the balsamic sauce. 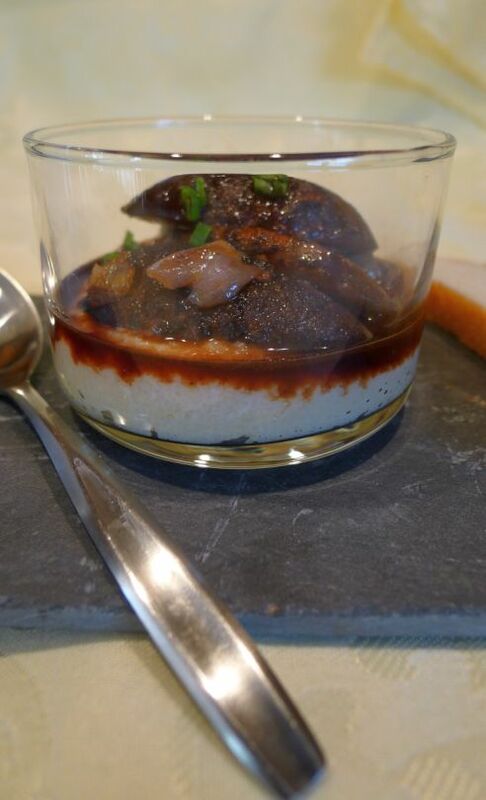 The polenta is served in a glass container to give it more importance like something rare and costly. 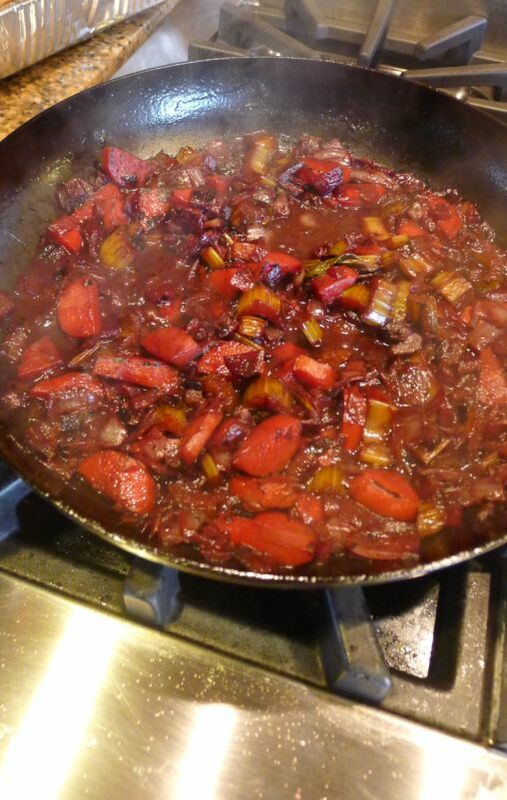 I served this dish at my Italian Chef's menu and everyone love the balsamic sauce! 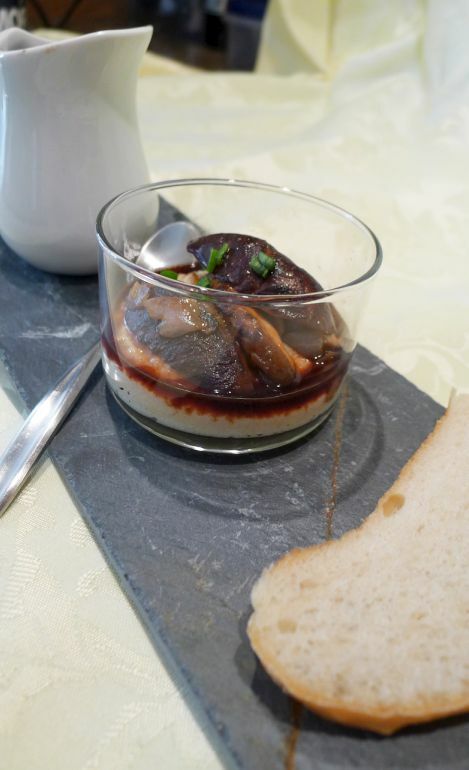 Let start with the mushrooms. 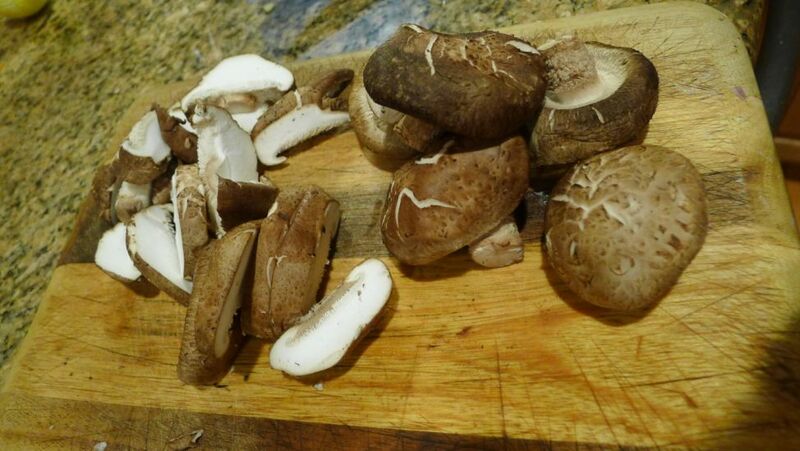 Clean and cut the mushrooms into thick slices. Heat a large sauté pan over high heat. 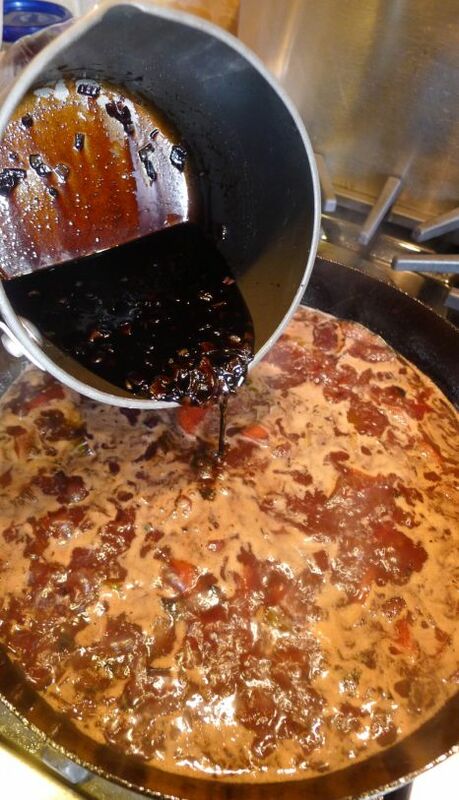 Add 3 tablespoon of oil, an heat until hot. 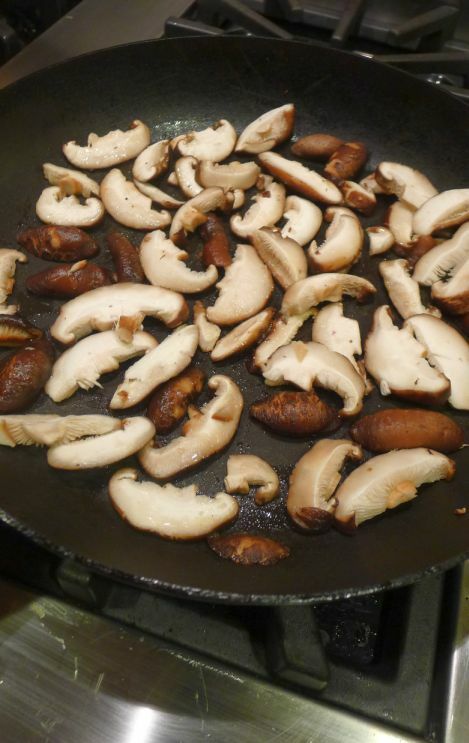 Add the mushrooms but don't crowd your pan because you want your mushrooms to be caramelized. 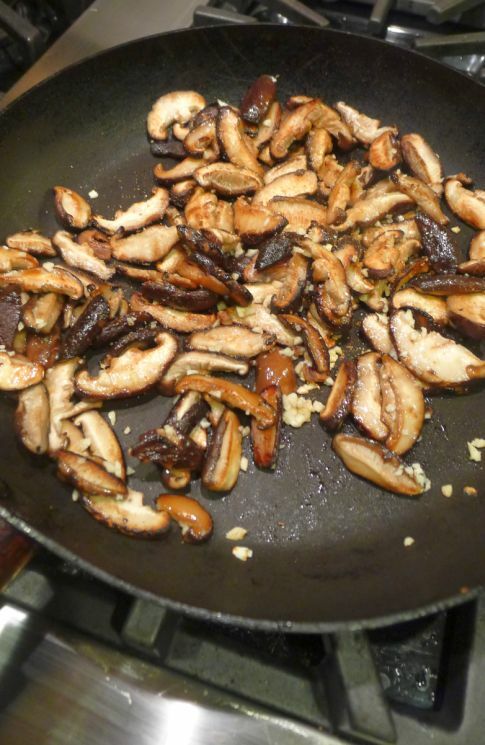 Once the mushrooms are starting to caramelized reduce the heat to medium add the salt and chopped garlic. Stir until the garlic shows a light brown color. Set aside. 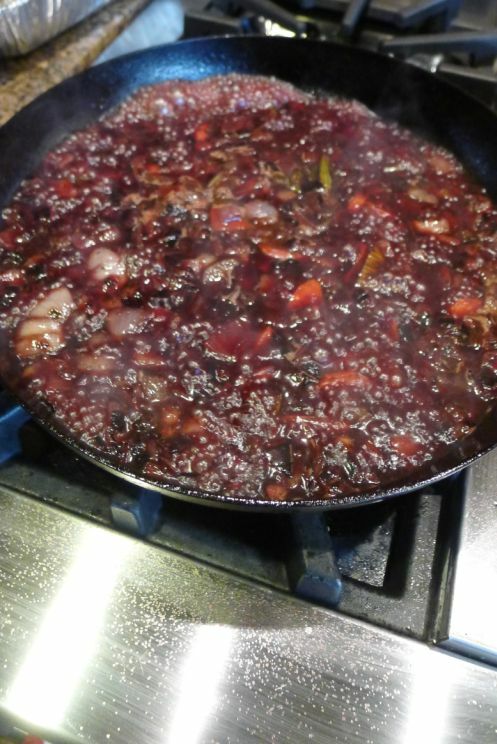 In a small saucepan, combine the vinegar and chopped shallot. 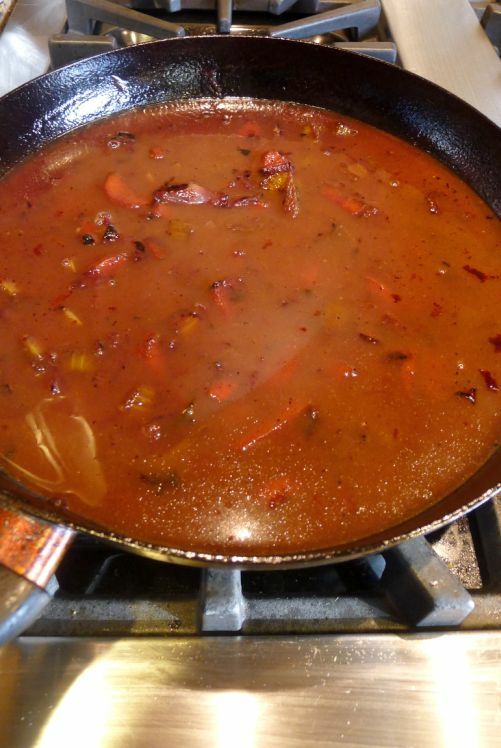 Bring to a simmer over medium heat and cook until reduced by half, about 10 minutes. Watch this, because at the end , the reduction process speed ups. Remove from heat and set aside. 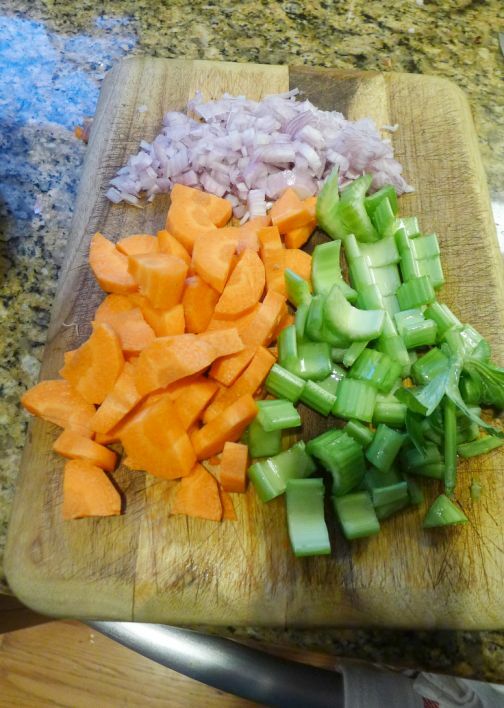 Chopped the onions, carrots, and celery. 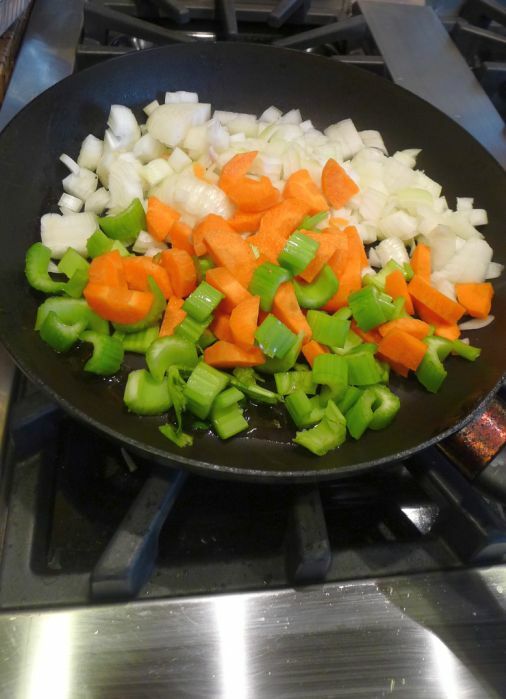 In a large sauce pan heat the olive oil over medium and add the onions, carrots, and celery and bay leaves. 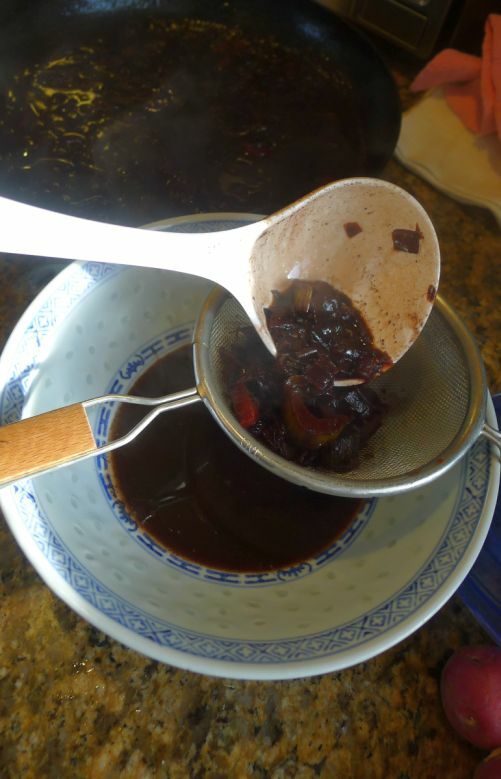 Cook, Stirring occasionally, until the vegetables are a deep brown, about 20 minutes,. and reduce the heat to medium low. Cook to reduce by half about 10 minutes. 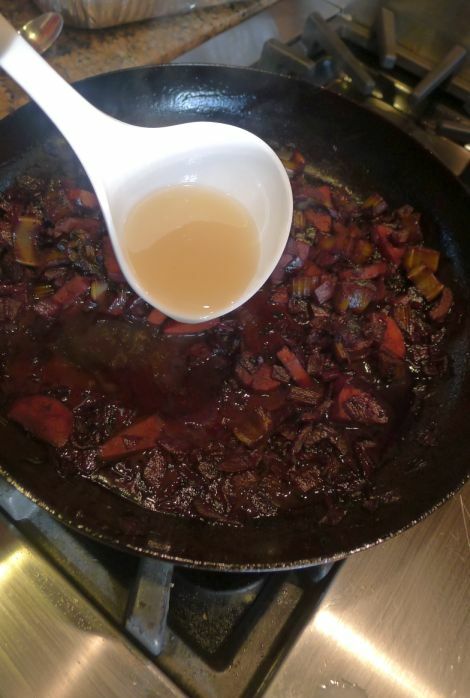 This is how it looks like after it is reduced. Turn off the heat and set aside. Put the chicken stock in a pot, add the peppercorns, and cook over high heat until the liquid is reduced by half, about 15 minutes. 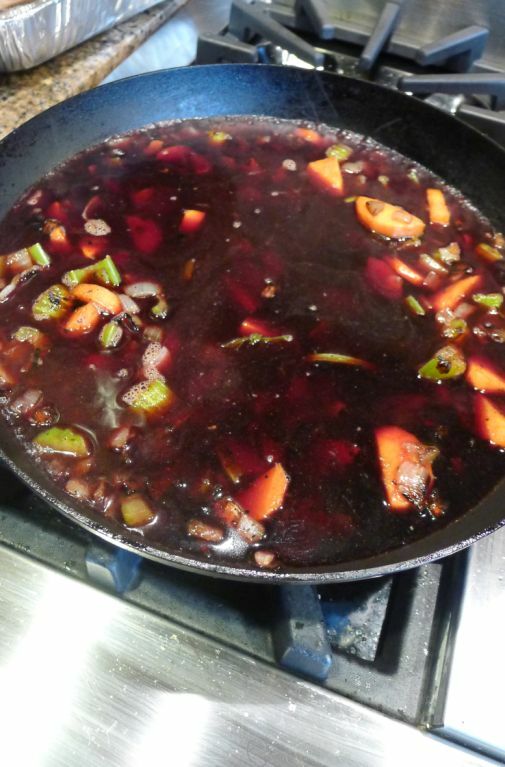 Pour the reduced stock inside the pan with the red wine sauce. 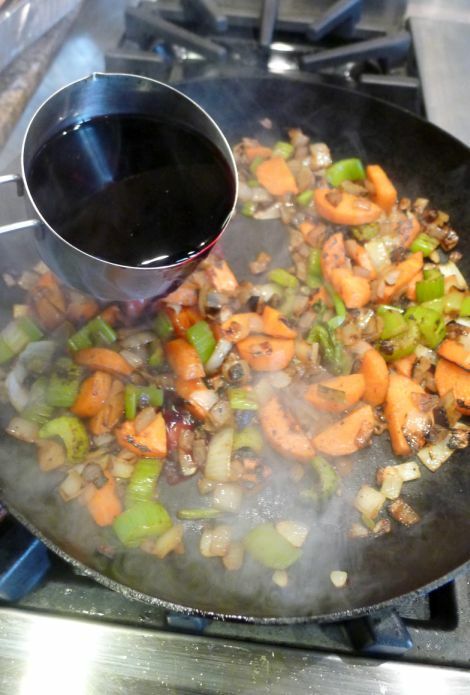 Pour the reduced balsamic vinegar in the pan. 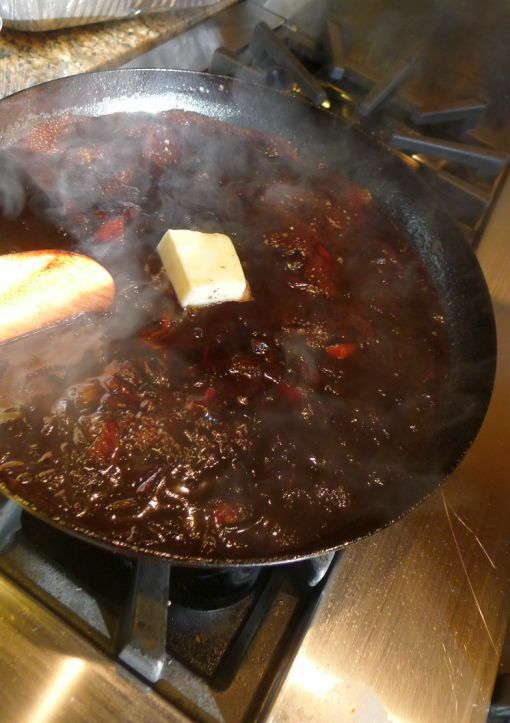 Remove from the heat and add the butter, stir until melted. 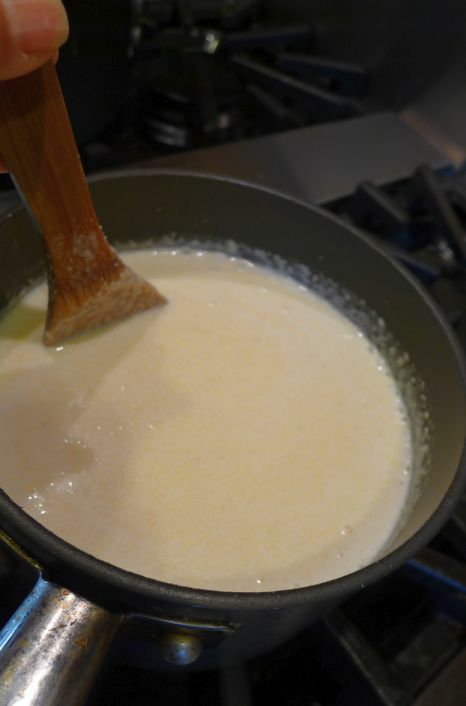 In a large saucepan combine the cream, water, and salt. 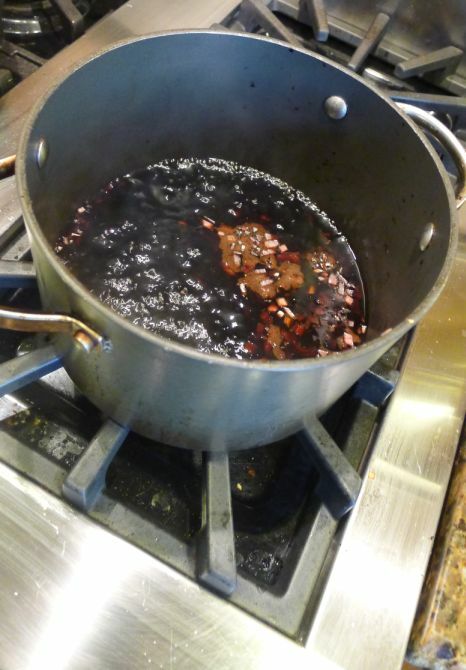 Bring to a boil over high heat and then reduce the heat to medium. Gradually whisk in the polenta in a slow steady stream. 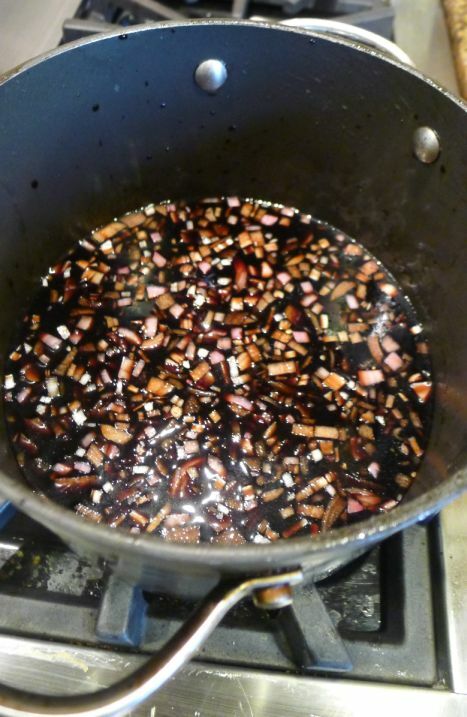 Stir until the liquid boils again and the grains are suspended in the liquid. 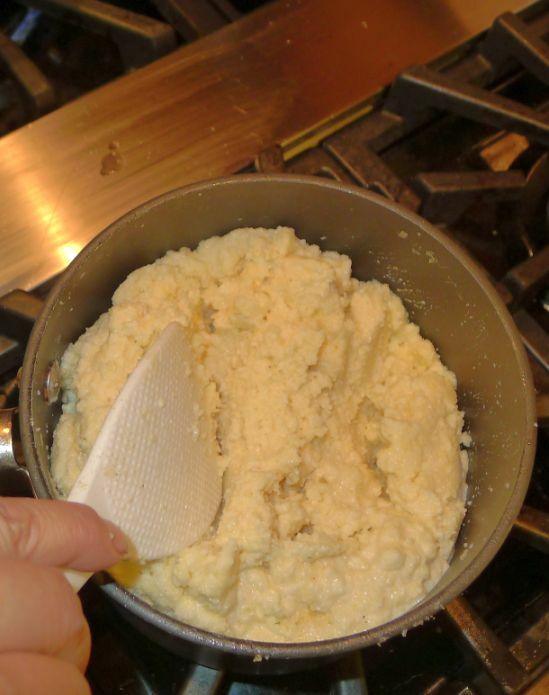 Keep whisking so the polenta doesn't scorch. 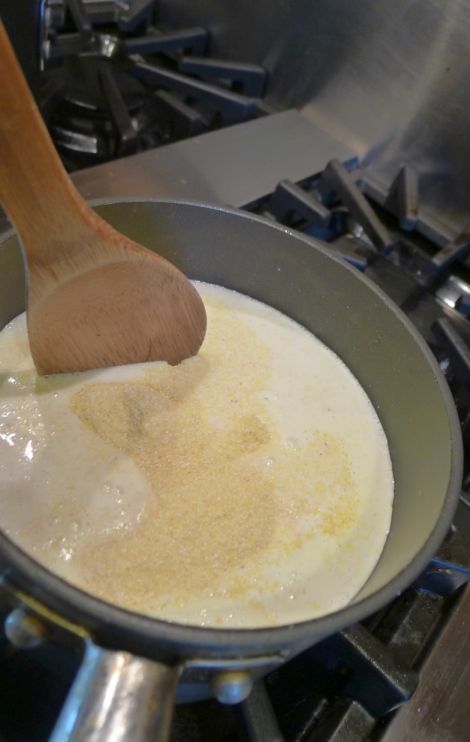 Once it comes to a simmer stir with a wooden spoon every few minutes until the polenta is creamy without and hint of grittiness, 15 to 20 minutes. I prepared the polenta ahead of time so by the time it was ready to be served I had to re-heat it. 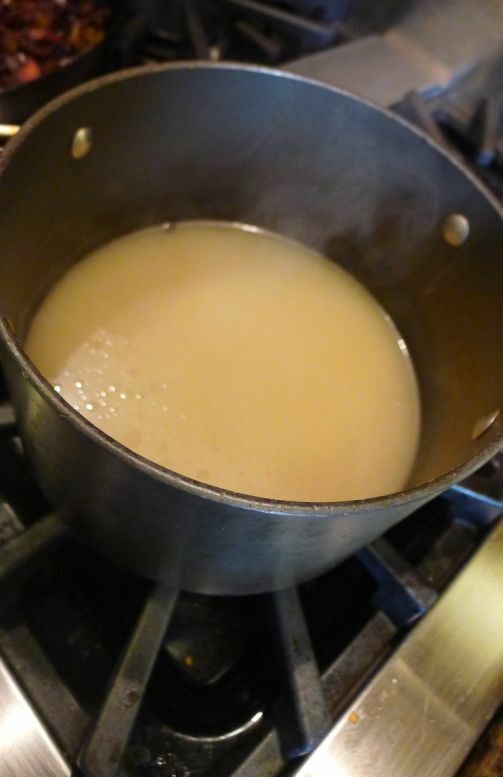 Add a bit of milk and stir until hot. Add the nutmeg, Fontina and parmesan and stir until well combined. 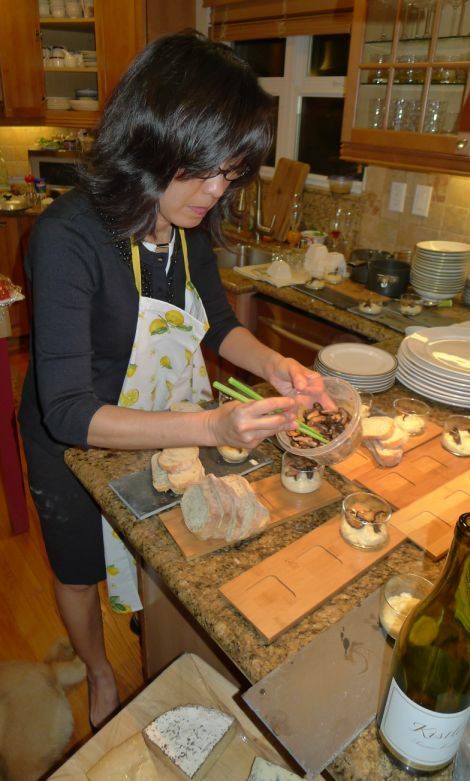 Here I am plating the dish. Bread is toasted in the oven and cut into slices. Here is the final presentation of the dish. 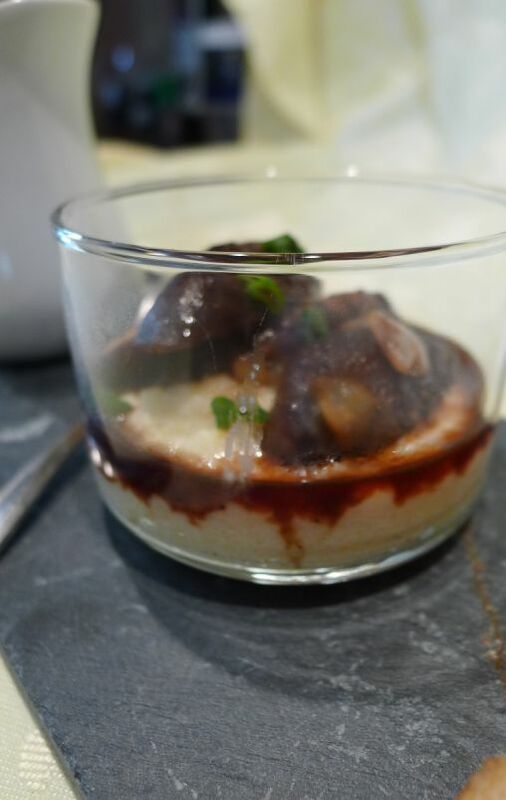 layer of polenta, a layer of mushroom, and the balsamic sauce is poured on top.